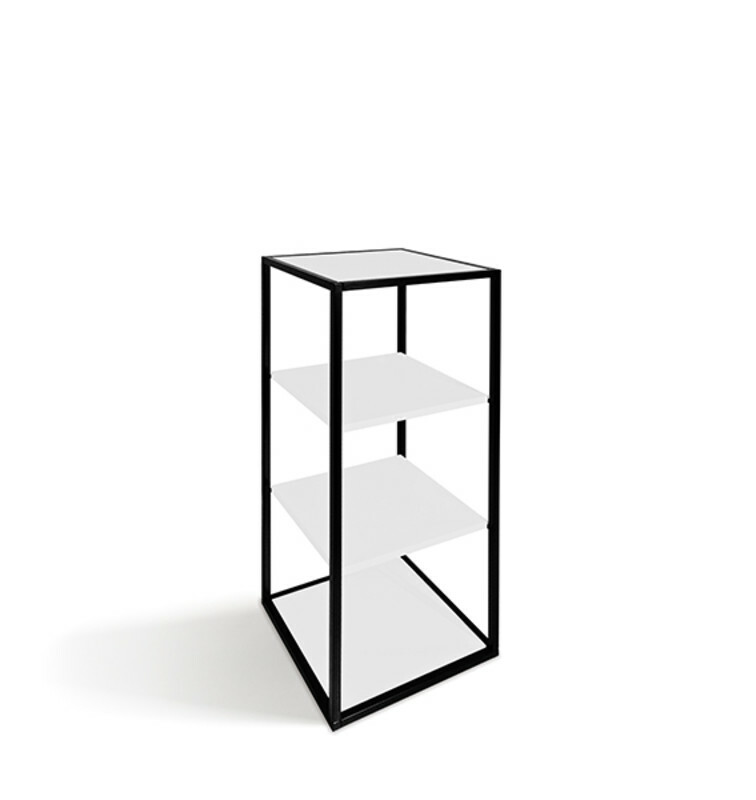 A cage full of ideas! 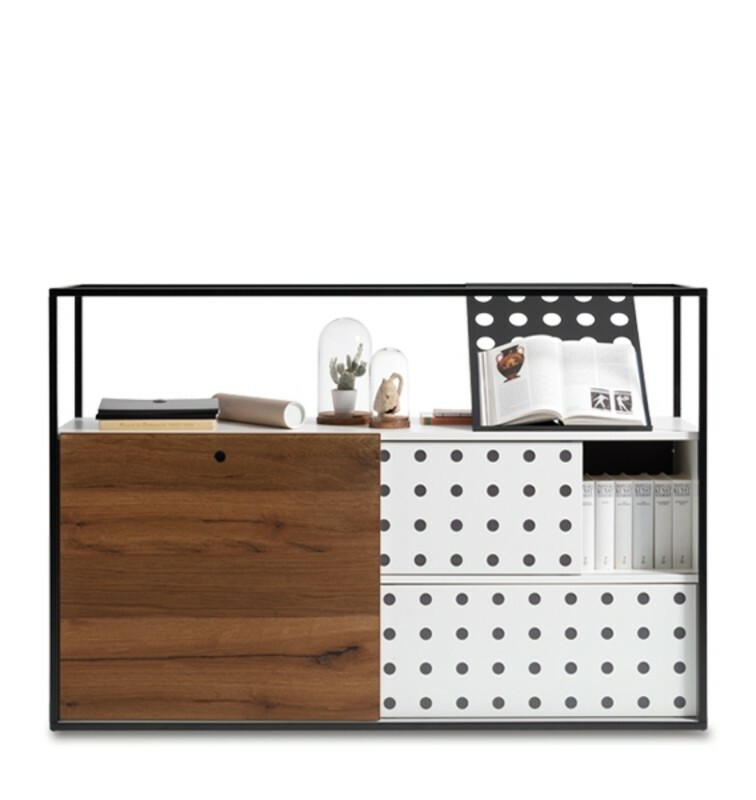 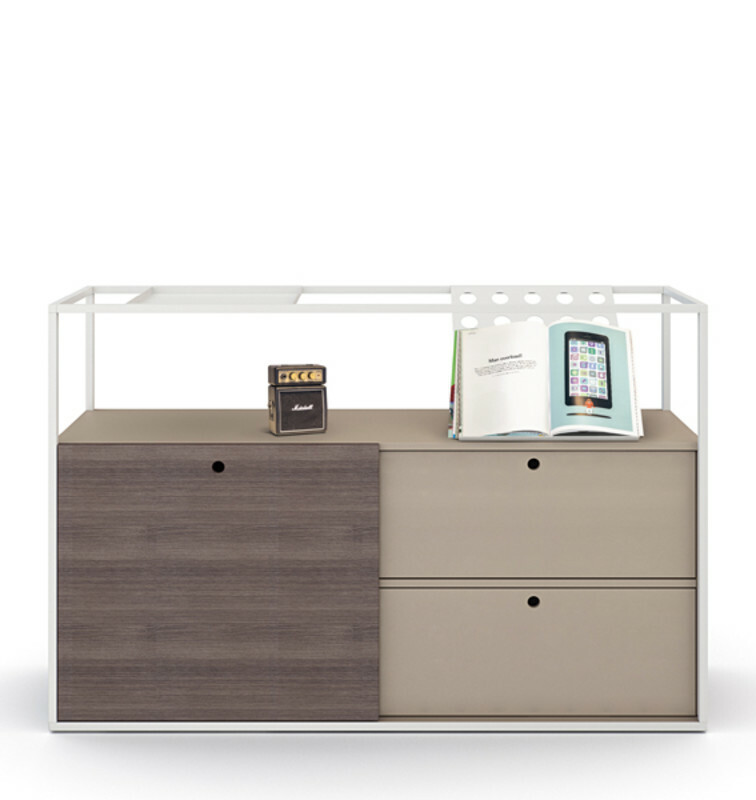 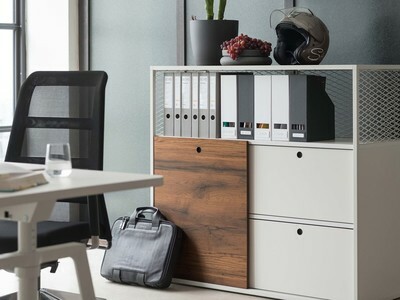 A office cabinet system that impresses with its modern design language and authentic blend of materials, cage is the perfect cabinet solution for storage spaces and zoning. 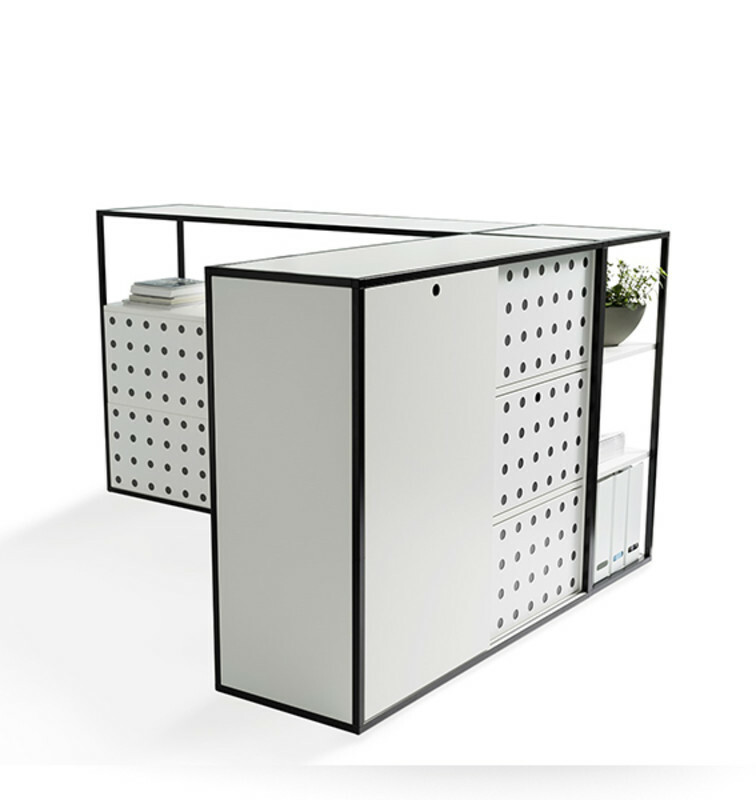 A square profile tubular frame redefines a room and sets new accents in the space. 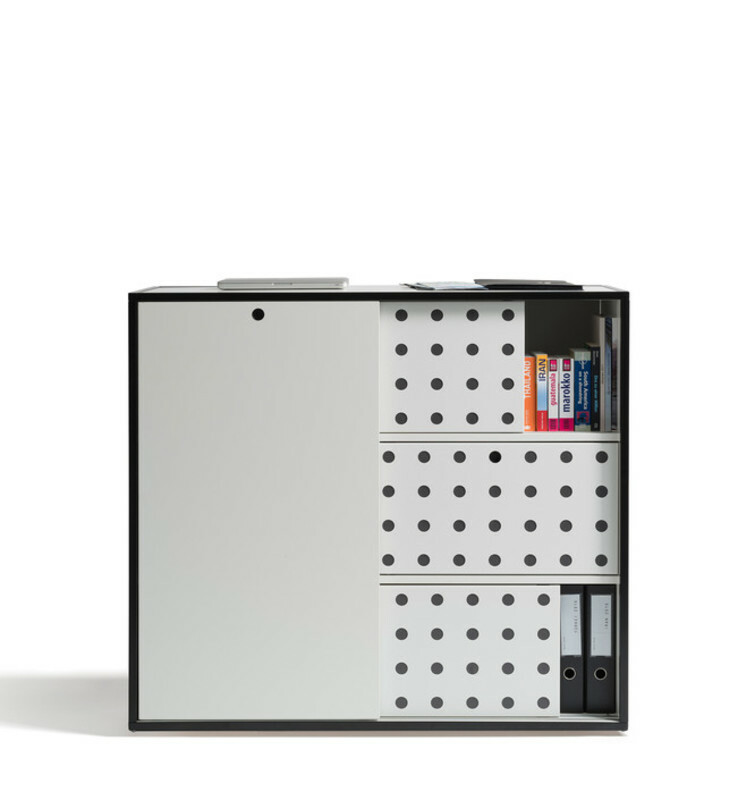 Open and closed modules, horizontal and vertical cubes and a choice of unusual materials open up a wealth of options for specifiers. 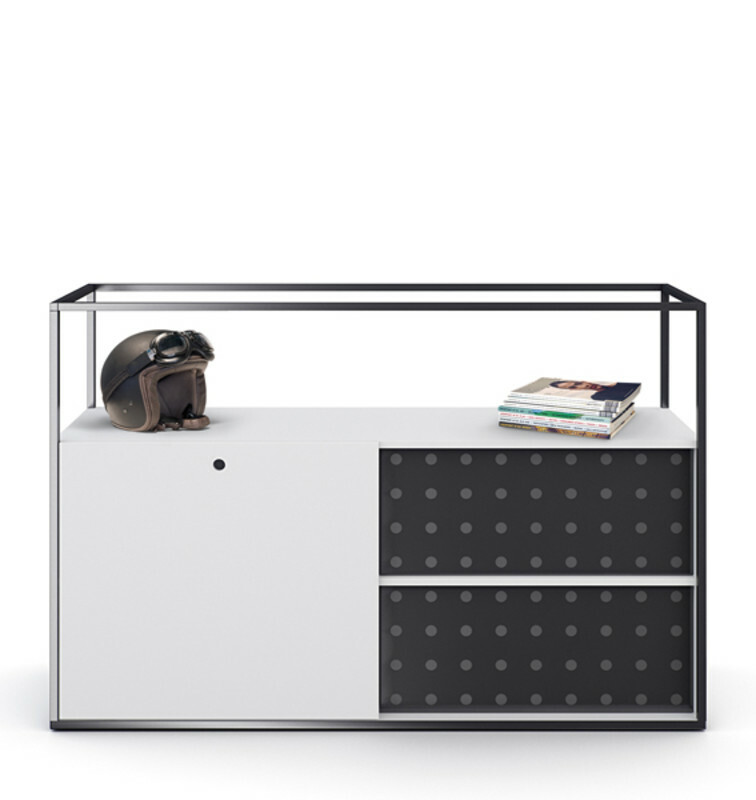 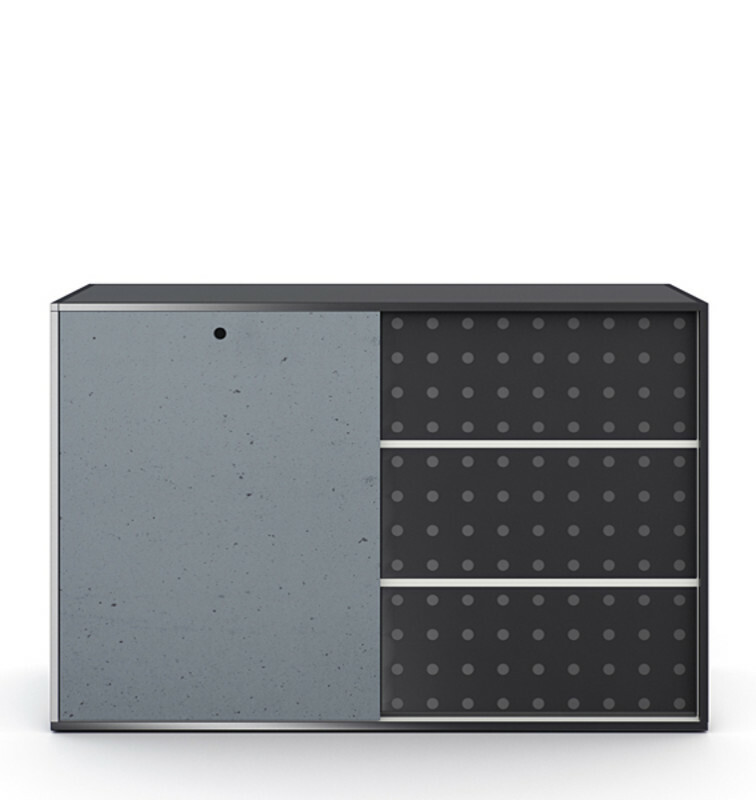 Based on a distinct grid design, the cage storage system allows designers to create combinations that zone and structure the space. 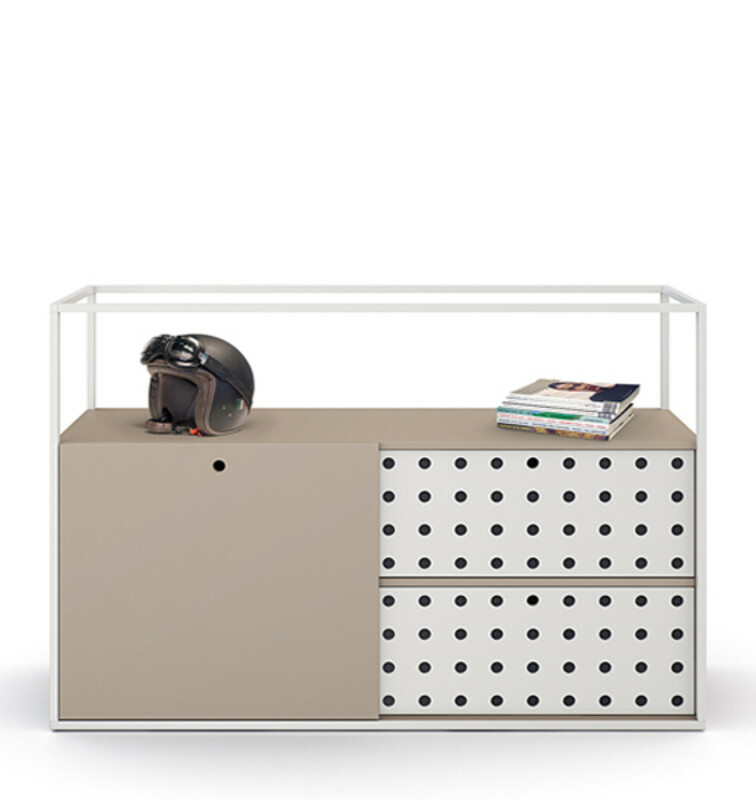 A corner shelf element creates a natural transition between two components.